I bought her for a body swap but I changed my mind when she arrived. 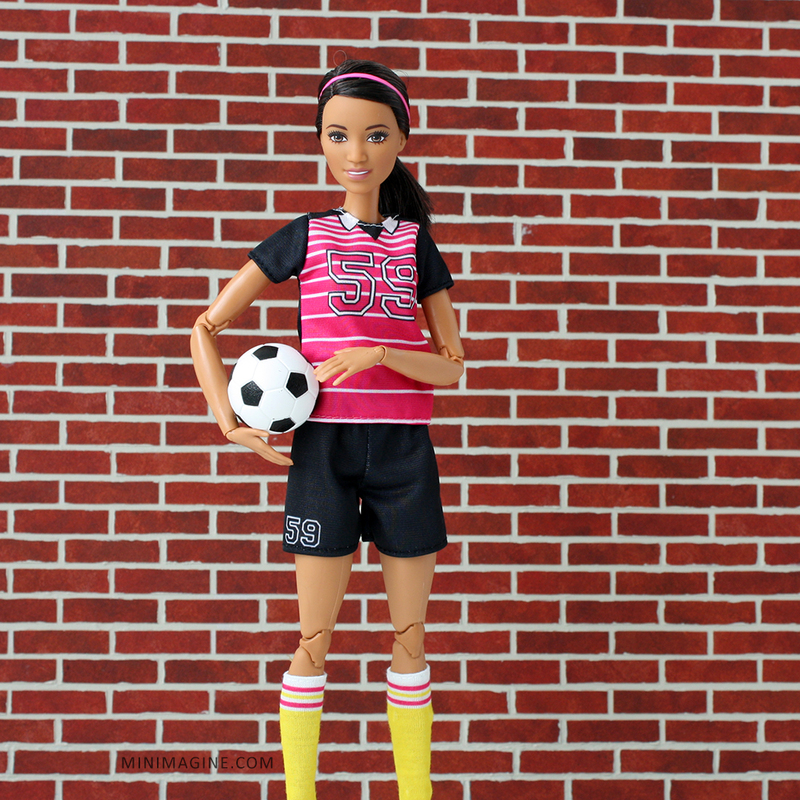 Meet my new sporty "Made To Move" doll! 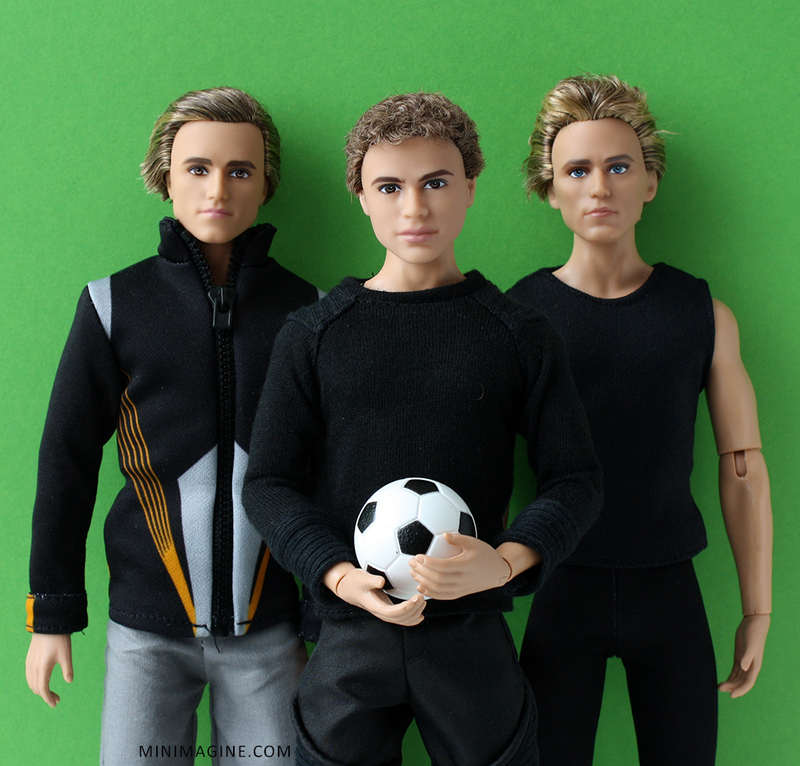 Cameron is one of soccer players from the last Mattel series. 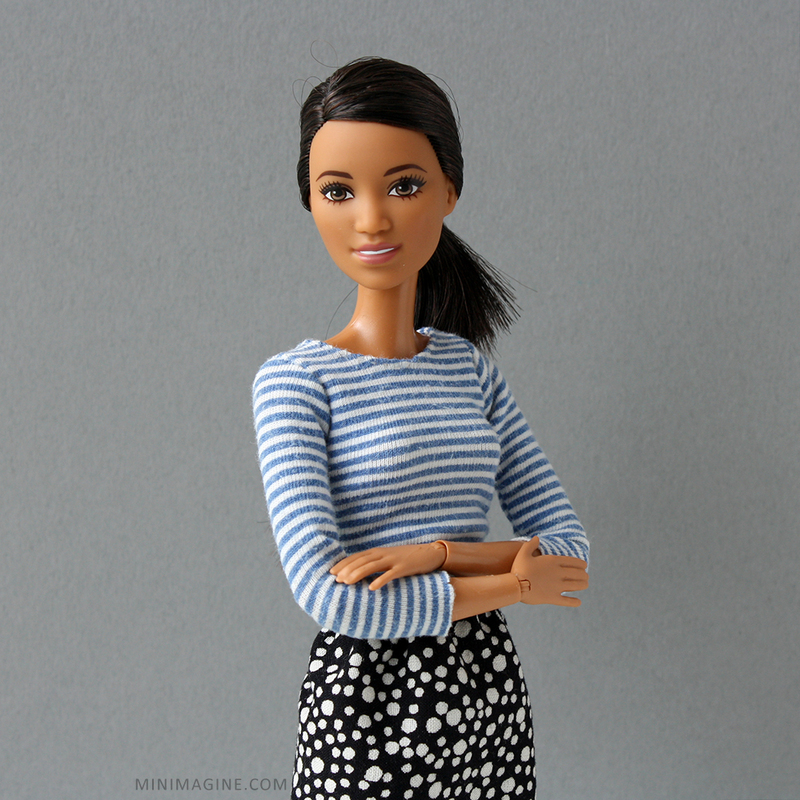 I like this mold very much because she isn't a classic beauty. Half-open mouths are not my favourite but in my opinion she looks much better than smiling Teresa mold (Blue Top Made to Move). Her natural make up is nice. What do you think about my new wall? You can see the previous one here. Boys are glad about the ball. 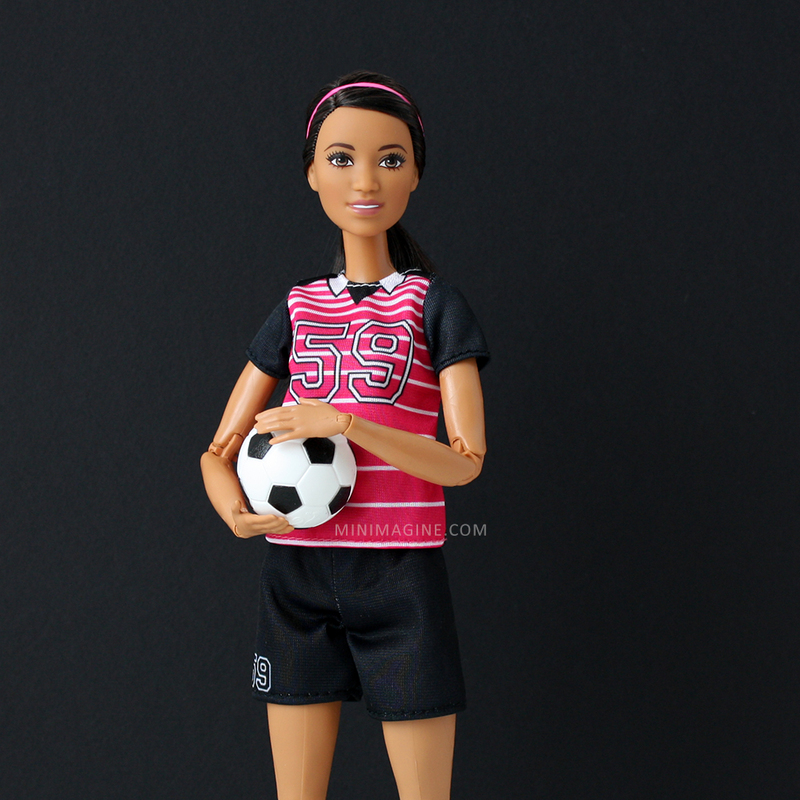 I also like the idea of soccer team clothes - they can be more useful than yoga outfits (if you want to collect more dolls from this series - whole or for their bodies). But I would prefer to have different numbers on their T-shirts and shorts, it would look more realistic. Tousled hair after quick change of clothes. 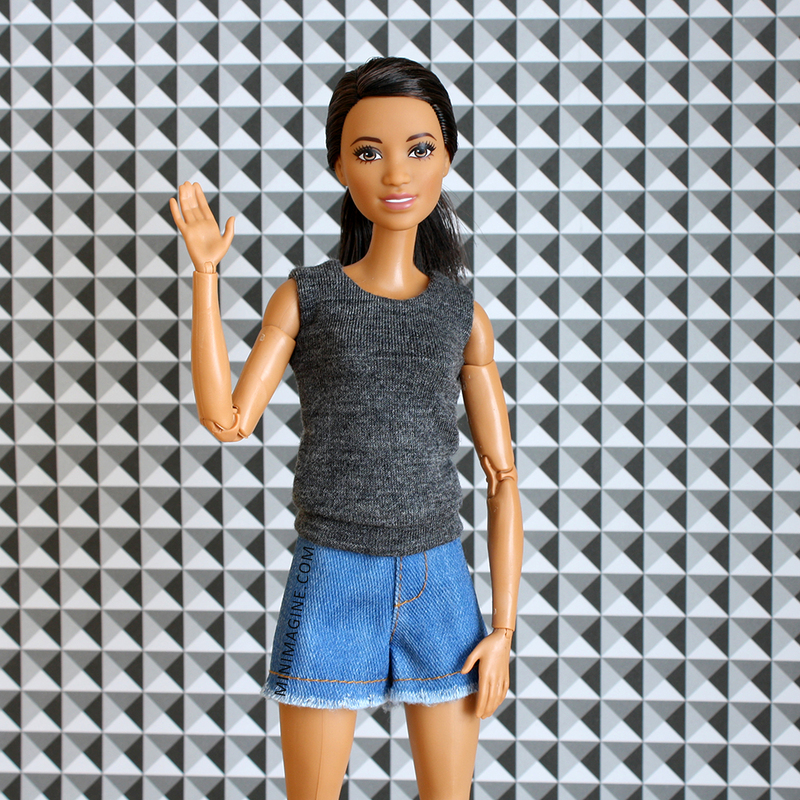 More of my dolls' portraits you can find here. Enjoy! Była ostatnio i chyba nadal jest w dobrej cenie na Allegro, więc polecam :-) I trzymam kciuki, żeby trafiła się z równymi oczami! She is definitely a keeper! I do have multiple soccer players too, and agree that I wish they would have different number on their jerseys. I was thinking maybe I could create some iron on numbers to put over these. What do you think? I like all of your backgrounds. Makes me realize I need to start using some different backgrounds for my photos. That's a good idea! The only problem I see is that the fabric the shirts are made of, could be sensitive to ironing. Let me know how it was if you will decide to try it. Different backgrounds in small sheets (a4 or Letter format) are helpful for potraits. Bigger sheets (A3 and more) are good for dioramas. I'm looking forward to see your new backgrounds. I can't seem to find this one here locally. 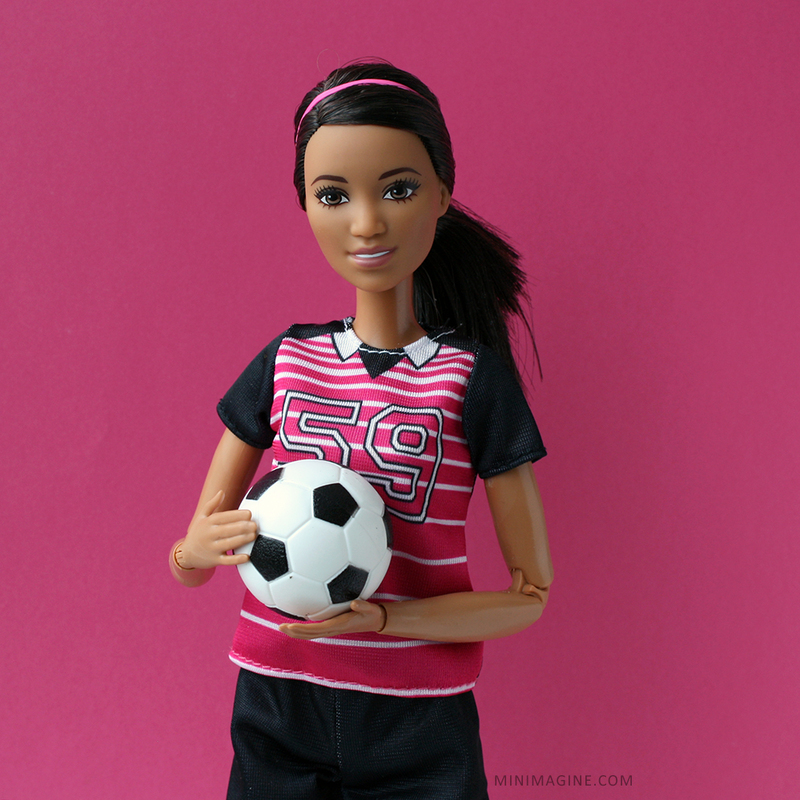 They only have the blonde Barbie in the soccer series. Unless they have got them in but they've sold out since. This tends to happen a lot here. She has a nice face sculpt. I also like your wall. Thanks. I hope that she will be available in your shops soon. There is a lot of these dolls in my local shops. I think she is the most interesting from the second MtM series.